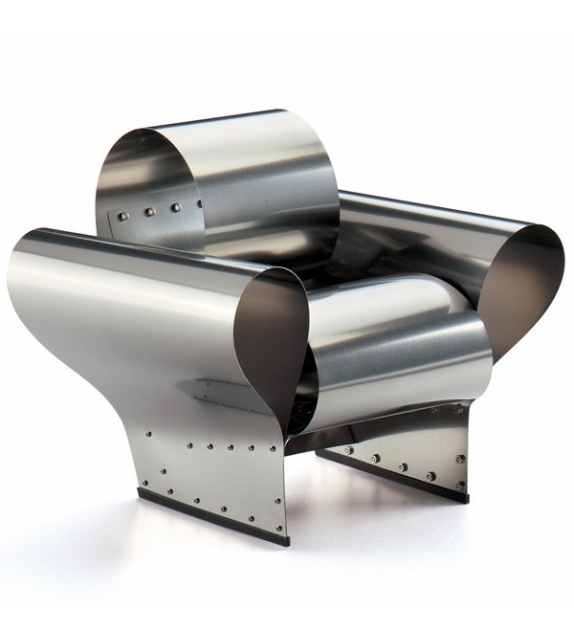 Vitra Miniature Well Tempered chair, Arad: Ron Arad is one of the liveliest and most productive figures in contemporary designs. He contrasts polished, stylish commercial design with highly poetic objects with an archaic feel to them.The armchair is therefore not just a brilliant formal idea but also conveys a completely new feel for sitting. 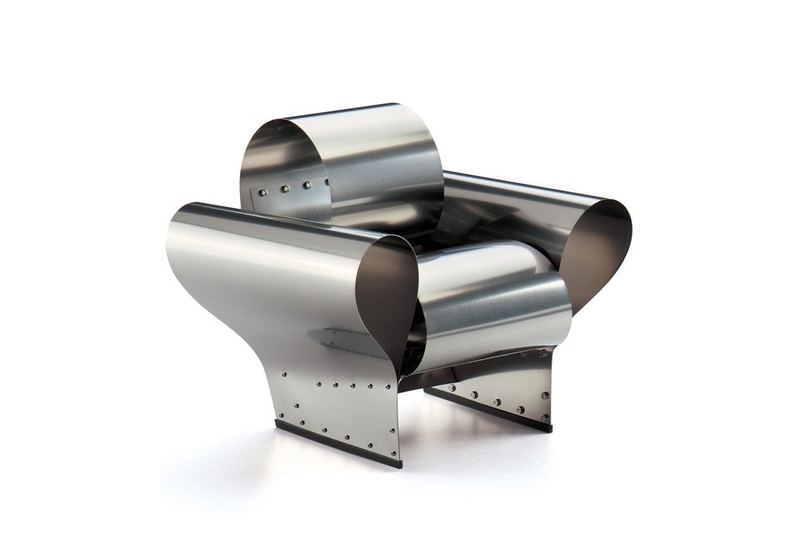 Vitra Miniature Well Tempered chair, Arad: Ron Arad is one of the liveliest and most productive figures in contemporary designs. He contrasts polished, stylish commercial design with highly poetic objects with an archaic feel to them. 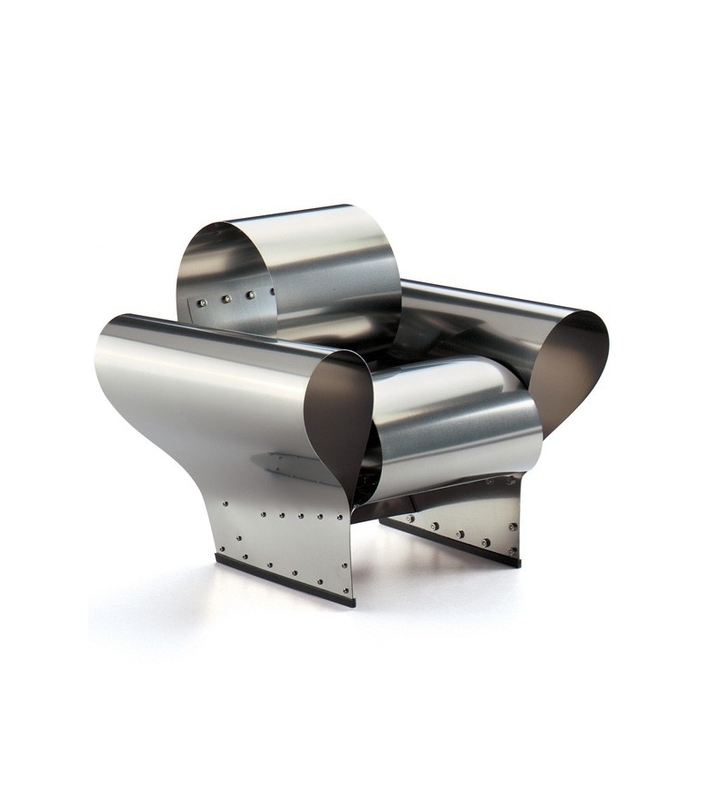 In the framework of the »Vitra Edition« he created the »Well Tempered Chair«. Its form is not the product of artificially shaping the sheet steel but is instead generated by screwing the tensile sheets into arches. Given its flexibility, the spring steel always bounces back into its original shape. The armchair is therefore not just a brilliant formal idea but also conveys a completely new feel for sitting. Temper-rolled stainless steel.